Peter Cushing anchors a seriousness when speaking of the then unseen "horrors" of the film, superbly selling whatever silly dialogue he is forced to utter but even if the intention of the film was something more crap your pants scary, The Legend Of The 7 Golden Vampires has now turned into something more wonderfully valid. A fast paced piece of exploitation where the plot of seven brothers (and one sister) play well into the genre staples of martial arts as they all carry different weapons. Squaring off against the quite badly done sights of rotting vampires fighting and skipping casually about, it's not a "problem" that the make-up is painfully obvious but the way the hordes walk about is so delightfully charming. There's no hopping here, which could've made for dread, and furthermore there's crudely inserted romance that plays little in the film's favour. Yet it's all so cuddly and loveable (even the bats on strings), with rather wonderful interaction between Cushing and Shaw star David Chiang (who handles his English pronunciation well). Featuring a fair contribution from fight choreographers from Lau Kar-Leung and Tong Gaai and multiple looks at vampire breakdown-effects, the latter is certainly effects work the filmmakers didn't want to NOT showcase. Released as The Seven Brothers Meet Dracula in America and at 75 minutes in length, that edit is sped up into incoherency instead and favours horror/exploitation elements to the point of boredom. Gathering them in an extended opening reel doesn't set the tone. Hong Kong release title was Dracula And The 7 Golden Vampires and the Warner Brothers dvd release under the original title is fully uncut. Busy and often impenetrable Wuxia pian from writer Ku Long, The Legend Of Broken Sword does present on the surface colorful content like spirits or the undead trying to tempt our hero (Tien Peng), constant assassination-attempts on his life and so on. But as the characters, motivations and twists stack up and not enough noisy, technically sound attempts at depicting this fantasy-world are present, Au's movie goes into not only incoherency but dull incoherency. Two fight scenes towards the end bring quality but sporadic inspiration isn't enough for this one. Also known as Dressed To Fight. Billy Chung's debut, a gangster saga spanning 30 or so years (ending somewhere in the 1970s) and detailing the rise of brothers Ho (Ray Lui) and Hoi (Kent Cheng) in the triads. Starting as coolies under Master Wong (Michael Chan) and running the paper printing, betting and cocaine business eventually, the two brothers are soon torn apart as well. Despite above average production values and compelling gangster violence, there's never really anything interesting or out of the ordinary in Chung's vision. The longer it runs (a way too generous 2 hours), it turns downright spotty in terms of conveying the narrative. Ray Lui, who at this time apparently needed to be in any epic movie much thanks to his horrible turn in To Be Number One (which still is the rightful benchmark for these gangster epics movies so you can imagine the quality) and Kent Cheng do sufficient work but their bond is accentuated via melodrama that rings false when it occurs. Also with Tommy Wong, Nina Li, Kenneth Tsang and William Ho. 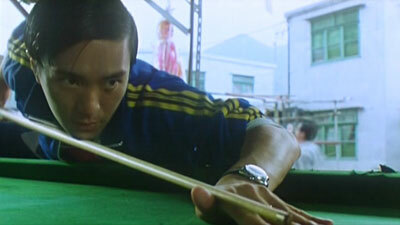 It's Shaolin Snooker in this early 90s Stephen Chow vehicle directed by Danny Lee. The Cantonese wordplay is definitely evident but the visual gags are what in the end dominates thankfully. Yes, there are other Chow efforts that are a few notches funnier but Legend Of The Dragon is still often hilarious and thoroughly entertaining. Some of these earlier roles also offers the treat of see Chow do action (and in the case of this film, snooker), something he got away from more as the 90s progressed. Also with Leung Kar Yan, Teresa Mo, Shing Fui On, Corey Yuen and real life snooker champion Jimmy White. Yuen Wah also has a terrific supporting role as Chow's father and former stuntman of Bruce Lee (a character trait that mirrors real life). Trivia: the screenplay is credited to Law Gam Fai who would subsequently go on to write screenplays for Category III movies such as Dr. Lamb and The Untold Story. Wong Jing was enjoying financial success during the new wave martial arts movies in the 90s but this Wuxia starring Aaron Kwok flopped at the time of release. 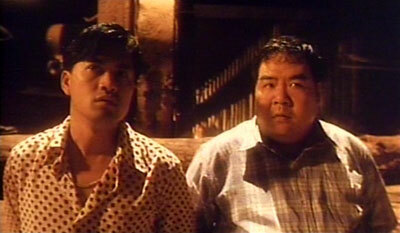 Not that Wong Jing's efforts deserves any kind of recognition here though. The cinematography on occasion shines but whenever Wong is in charge of the narrative, the movie sinks as he relies on his usual tiring comedic shtick that for once even the Hong Kong audience didn't want. 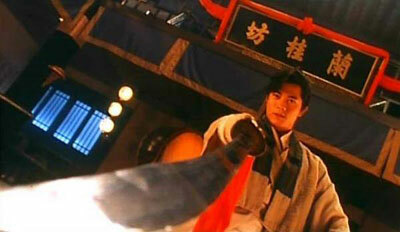 What makes The Legend Of The Liquid Sword a passable time sporadically is Lau Shung Fung's action directing that comes out on par with most of what you saw during the time and that's not a bad thing. Too bad at 83 minutes, the film is still a chore to get through. Chingmy Yau, Derek Wan, Anita Yuen, Gloria Yip, Norman Chu, Julian Cheung, Gordon Lau and Cheung Man also appear. A Chinese ghost story from King Hu, his second production of 1979. The other was Raining In The Mountain, by many regarded to be Hu's peak as director and it shows in Legend Of The Mountain that a decline was taking place. Having said that, Hu was in a league of his own anyway and this ghost story still impresses enough to make it a standout when measured against... everybody elses work! The widescreen compositions are an addicting asset as per usual, in particular when showcasing of outdoor locations and the evolving mystery leading towards scenes of ghost busting (the only so called action featured in the film) is efficiently developed, if not a little lesser on the Hu scale of filmmaking. But again, he's been extremely high, even on top of that scale a number of times so with that perspective in mind, Legend Of The Mountain is very much worth it, not only for completists sake. Starring some of the usual King Hu cast including Shih Jun, Hsu Feng and Tien Feng. Sylvia Chang adds support as well. Hong Kong's own a gag a minute, Airplane-esque spoof of Hong Kong genre conventions (in particular the Wuxia genre as portrayed by Chor Yuen) by David Chiang (and one of the writers was his brother Derek Tee). Taking a while to gain momentum as the banter is pre-Stephen Chow comedy not performed with the same skill, Chiang's secret lies in doing bigger gags and scenarios. The genre convention of the brothel more or less gains the atmos of a cowboy movie saloon and Chiang's courteous dinner with Norman Tsui where there's possible poison in the food are wonderful examples but once the trio reaches the hideout of the Owl gang, Chiang produces a terrific, silly time. Starting with the wind up dolls in Peking Opera wear that the trio needs to fight to the multiple reveals of the Owl gang leader, no matter how obvious Chiang's gag becomes ("Rock Around The Clock" and Star Wars are references done very openly), it's incredibly infectious. A Chinese New Year release in 1987 that fit the bill perfectly as Cinema City pulled out all the stops for their event with popular adventurer/novelist Wisely (as also seen in The Seventh Curse, The Cat and Bury Me High) and definitely a case can be made that this is the Hong Kong equivalent of an Indiana Jones. No one's been able to top Mr. Ford in that regard though, especially not our star Sam Hui here. Shot in beautiful scope by Peter Pau, the location work not only in Hong Kong but Egypt and Nepal is gleefully insisted on being overused by director Teddy Robin. The location work is never withheld from the frame nor is the luxurious, sometimes futuristic design Hai Chung-Man. It's the world of movies to a T and the definition of entertainment for the masses as the proceedings are grand, stupid, action-packed and contains stars that are allowed to be planks. Sam Hui is certainly one but he's obviously a clever/shameless marketing tool that always opens up the prime op to attach a tune of his to the flick too. Joey Wong, despite having an action oriented character setup is put into division of flower vase status and Ti Lung is Mr. Kickass. Our director pops up as the one surely able to decipher the secret behind a religious pearl many want to obtain and while pretty much only Blacky Ko's action directing (good blend between fights, stunts and vehicular design) is the sole piece of relevant cinema that still lives today, The Legend Of Wisely is a packed event that makes no excuses for what it is. There was a time where this was highly acceptable. It was also the time when Hong Kong cinema still had the ability to gather up the stars. Therefore, it's still valid today. Certainly a story striking a chord more closely to home than in the West, this legend of the Chinese deity (with the power of healing) Wong Tai Sin probably at least deserved something more grand and not medium-sized looking. Having said that, director Do Gong-Yue (Blood Sorcery) utilizes what he has well, starting in the heaven-set where Goddess Mother's birthday is celebrated. Gold Tortoise is looking down at the humans suffering and decides to splat holy water on them in order to solve the drought. This violates the rules of heaven and gold tortoise's punishment is to be sent to earth and do good deeds to humans. 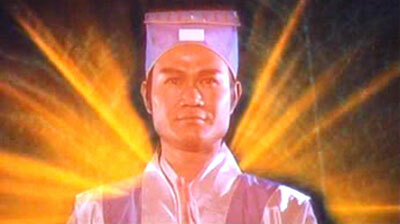 Born as Wong Cho-Pin, he goes from shepherd boy to practicing to be a Taoist priest as an adult (played here by Lam Ching-Ying). The cinematic treatment is more of a spiritual journey and lacks any true excitement. Yet matters are arguably coherent and lead Lam Ching-Ying becomes a fitting representation of a familiar character to the homebound audience. The fight action present is more Peking Opera in style although a battle with a black magician (Ku Feng) posing as Wong Cho-Pin represents what could be perceived as the obligatory hopping vampire-moments for a Lam Ching-Ying film. Kwan Hoi-San plays Wong Cho-Pin's master. The 1986 TVB TV-series starred Adam Cheng as the titular character. With a ratio of 10% actors and 90% special effects brewing in the rebirth of the fantasy adventures above the clouds as first seen in Zu: Warriors From The Magic Mountain, it's a small miracle that Tsui Hark gets acceptance and then some crafting this visually dominant experience. It helps that we don't have a reference for the stories within, its rules, visual manifestations and the powers of warriors at the forefront and Tsui uses this as a springboard for his vast imagination. And it's a relentless 100 minutes that still manages to set up a basic, coherent good versus evil conflict with love and emotional connection as attempted hooks. Now, let's not kid ourselves for one second and say that there IS viewer engagement in the more human aspects because this is a ride first and foremost with little to no physical sets and with actors against greenscreen in wires delivering a supposed narrative. But it's the overload that conjures up the joy and even shoddy effects work that's clearly not immersed well with live elements or at all becomes wholly acceptable because of said lack of reference of how this world looks, acts, is showcased. If anyone would fairly successfully make such an insistent, computer generated assault work, it would be Tsui Hark. It's not exemplary and gone is the more even balanced physical- and effects balancing act of old but if you can catch some of it, there's a tremendous amount of imagination here. Starring Ekin Cheng, Cecilia Cheung, Louis Koo, Zhang Ziyi, Wu Jing, Patrick Tam and Sammo Hung.